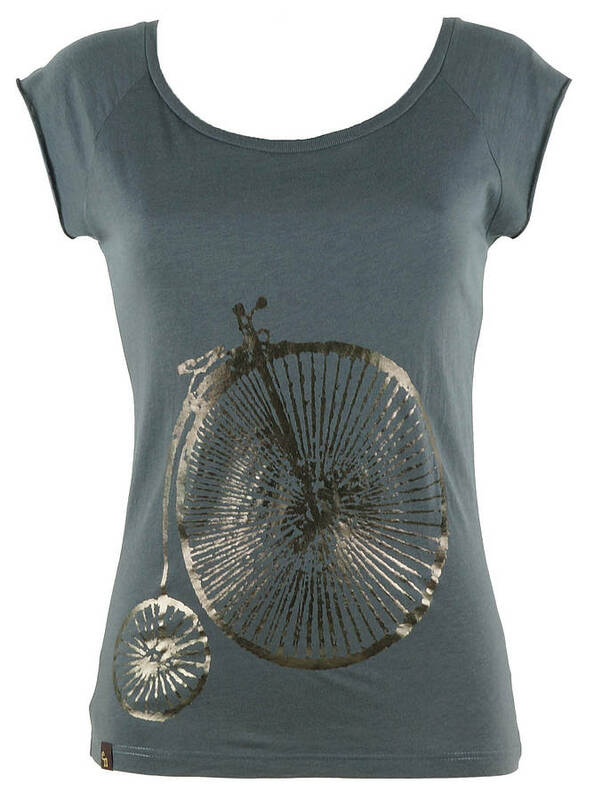 Stunning foil Penny Farthing hand printed onto super soft and light weight raglan style Bamboo and Organic Cotton tshirt. This silky soft fabric is made from extremely soft bamboo wood pulp blended with organic cotton, making it sustainable, breathable, anti-bacterial. Feels amazing on the skin. Perfect for everyday wear. 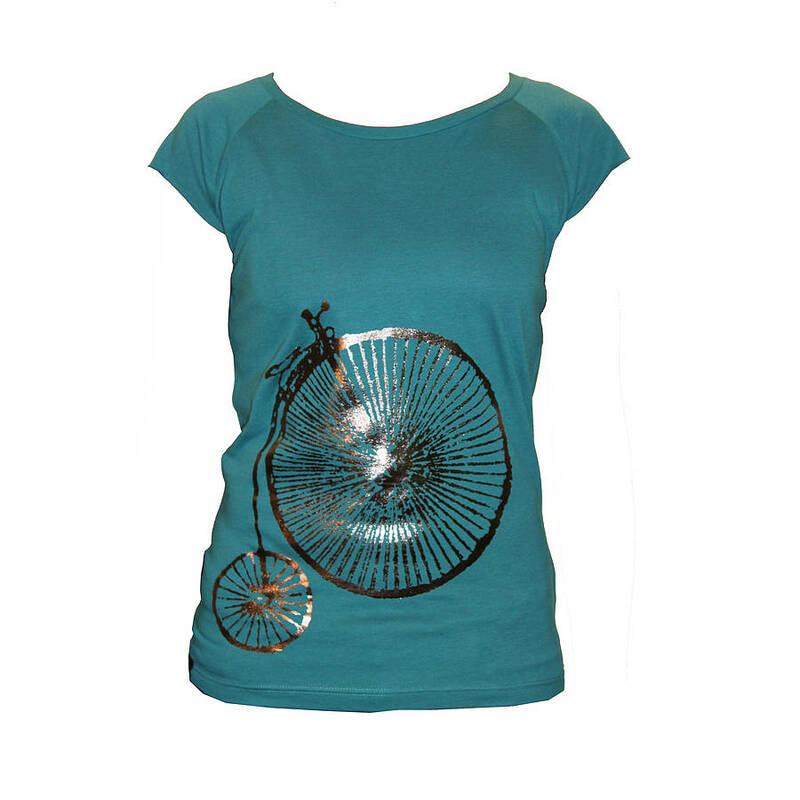 Excellent for cycling, hiking, yoga, pilates, hot holidays and just feeling comfortable. 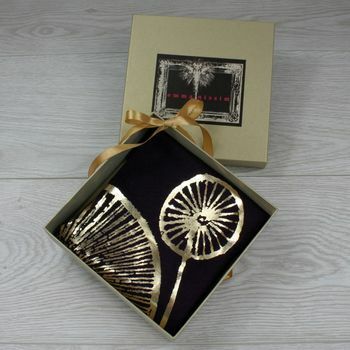 Ideal for someone who appreciates supporting local industry and eco-friendly products. Ethically made with the Fair Wear Foundation. In partnership with the World Land Trust, so 50p from the sale of every tshirt will contribute to our goal to secure 5 Acres of the Amazon Rainforest. Designed and lovingly hand printed in London by Emma. 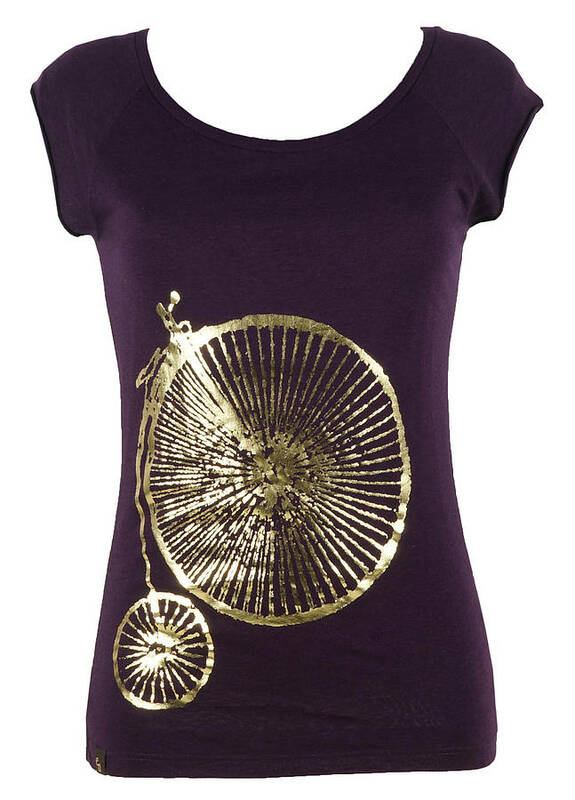 Available in Ocean, Charcoal, Black, Grape. The gift boxes are no longer available, instead, we are happy to wrap them up for you as seen in our socks pages. Please request for wrapping if you would like this free service. 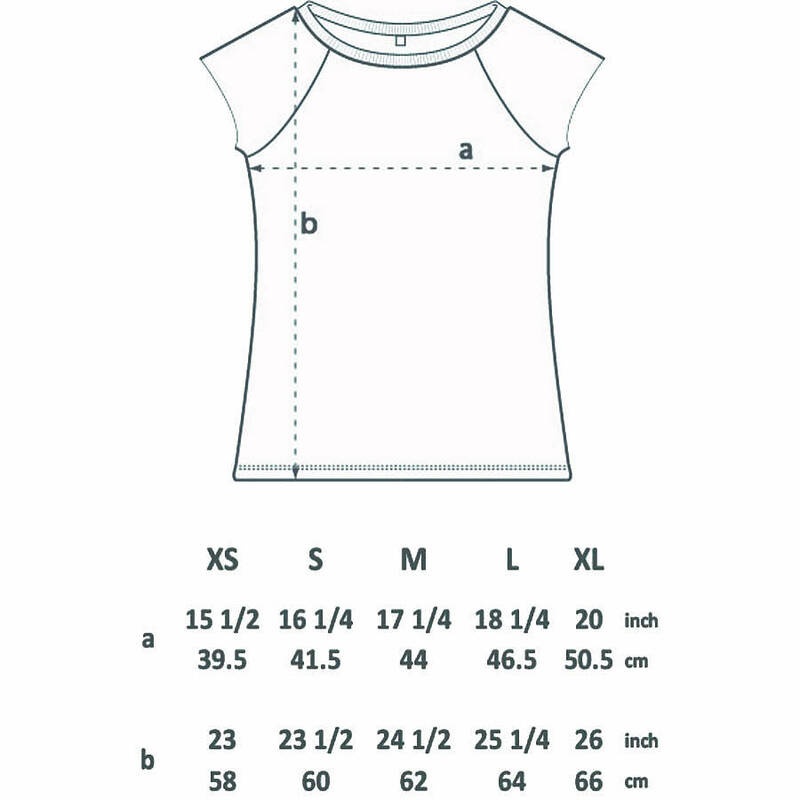 Available in Extra Small: UK 6; Small: UK 8; Medium: UK 10; Large: UK 12-14; Extra Large: UK 14-16. This product is dispatched to you by Emma Nissim.